LOTS of people dream of living out their retirement in a bungalow, with all rooms and facilities on a single level and no need to climb up and down stairs as it becomes more challenging in older age. But the dream can be a long way from reality, and fraught with pitfalls. 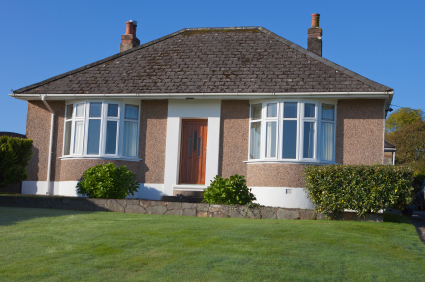 Across the UK, the demand for bungalows far exceeds supply, meaning they come on the market less frequently and when they do, they command high prices. It’s not just the rarity of bungalows which pushes the price up. They are almost always built on bigger plots, so you’re buying more land. You could also be competing against developers with an eye on demolishing an older bungalow to build two or even three traditional houses on the same plot and maximise their profit. Multi-storey houses occupy a smaller footprint, so a typical bungalow plot will accommodate more than one and it’s easier to get planning permission to build on an existing housing site. Because bungalows command higher prices, you’ll pay significantly more for the amount of living space you get. If you’re funding a bungalow purchase from the sale of your existing home, you might need to find extra cash if you want a similar square-footage of living space, or look seriously at downsizing to a bungalow which is affordable but offers significantly living space. Bungalows often have smaller rooms and less storage space, because of the need to squeeze all the single-level accommodation onto the available building plot. Even fewer bungalows come onto the housing market in a “ready-to-move-in” condition. Because they tend to be occupied by older people, they can be outdated in terms of décor or ‘mod cons’ and sometimes suffer from a lack of general maintenance and upkeep. This means you’ll have to factor in the cost of renovations and refurbishment. Some bungalows, especially those built from the 1950s to 1970s, also have particular problems with damp and condensation. Sometimes a developer will buy a bungalow to ‘do up and sell on’, but this will also be reflected in the price. The relative scarcity of bungalows also means it could be much harder to find one in your preferred area, meaning you’ll have to widen your search to other areas. This could mean moving to a new community, perhaps further away from family and friends, and having to develop a new social network later in life. In short, bungalows do offer advantages for easy living in later life, but they come at a price, both in monetary terms and in the compromises you might have to make to achieve your bungalow dream. Maybe then, it’s time to reassess? If the main driver for looking at a bungalow is to eliminate stairs, there is a much easier and far more cost-effective option. Installing an Acorn Stairlift in your existing two-storey home effectively turns it into a bungalow at a single easy stroke, by eliminating the obstacle of stairs. Imagine ‘slicing off’ the upper storeys of your existing home and setting them down, one by one, next to your existing ground floor accommodation. Then imagine the sky-high cost of that home if it was a bungalow! But this is the home you already own, and you can achieve the ‘bungalow effect’ by installing one or more Acorn Stairlifts, depending on how many storeys you want to access. Using an award-winning British-made Acorn Stairlift means you can access all of your home in comfort and safety as often as you want to. No more struggling up and down the stairs, wincing from sore joints or struggling for breath, and no more risk of a potentially serious fall on the stairs. Acorn Stairlifts are designed to blend with your home’s décor and be as unobtrusive as possible. Their slimline design – with seat, arms and footrest which all fold up when not in use – means it’s easy for others to use the stairs. They also run on a single discreet stairlift rail, which is fixed to the stairs, not the wall, so there’s no need for disruptive structural work, rewiring or redecoration. Moving home can take months, but an Acorn Stairlift can be installed within a few days of your initial inquiry, even on more complex curved or return staircases thanks to our patented FastTrack® modular rail system. It means we can assemble a tailor-made stairlift rail on site to precisely follow the unique contours of your staircase, with installation taking just a few hours. To find out how Acorn could effectively turn your home into a bungalow, give us a call today on Freephone 0800 016 9760 or click the green ‘Get a free quote’ button at the top right of this page. Your local Acorn surveyor will call at a time convenient to you to measure your stairs and assess your needs. Our surveyor will then be able to give a comprehensive quote, with no hidden extras. Your home survey is free of charge and without obligation, and we won’t pressure you for a sale. Your quote is valid for a whole year, giving you plenty of time to make up your mind.